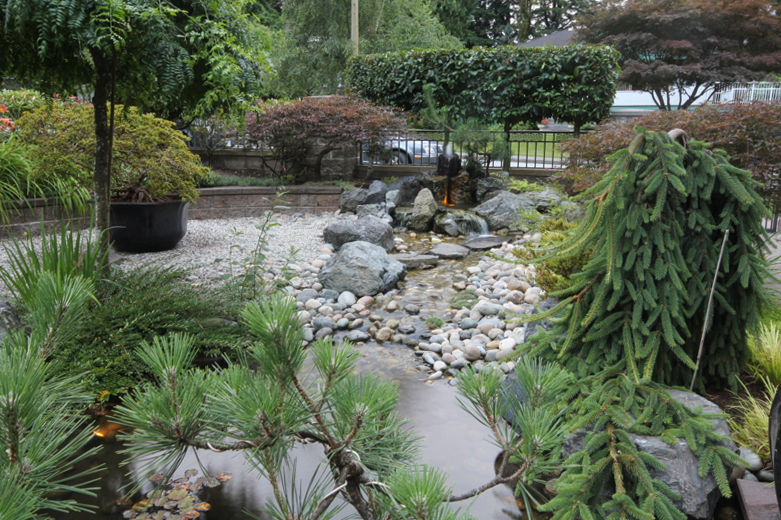 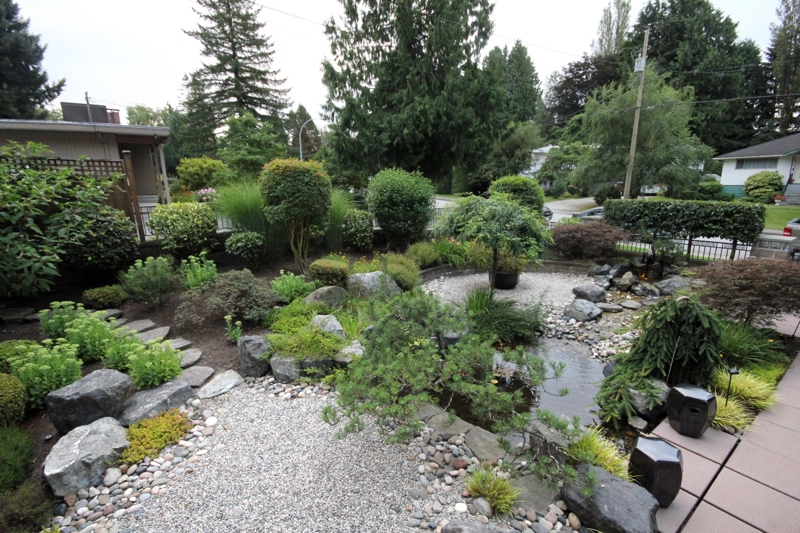 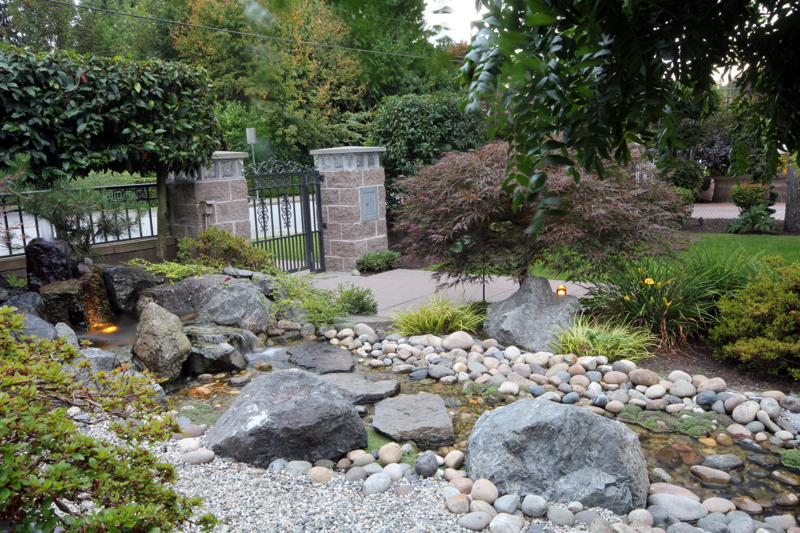 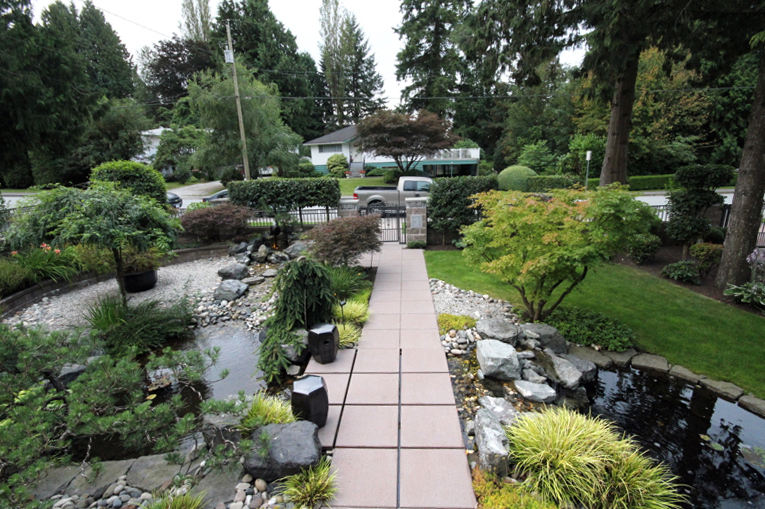 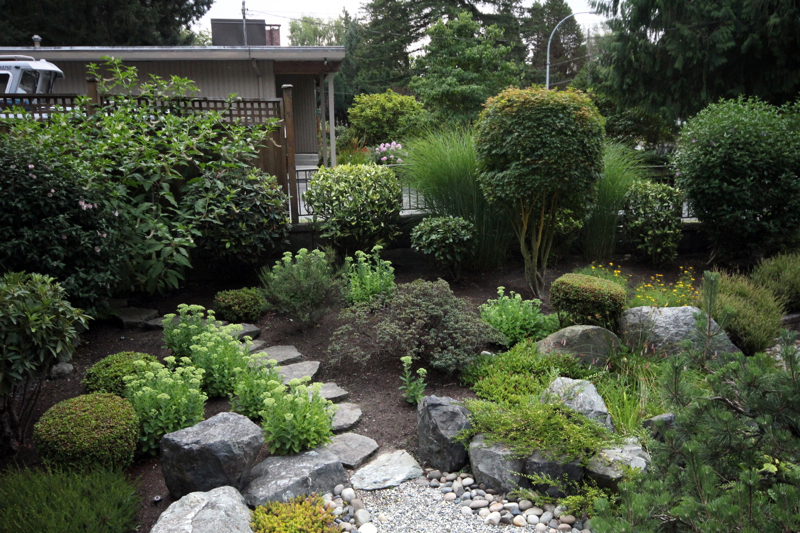 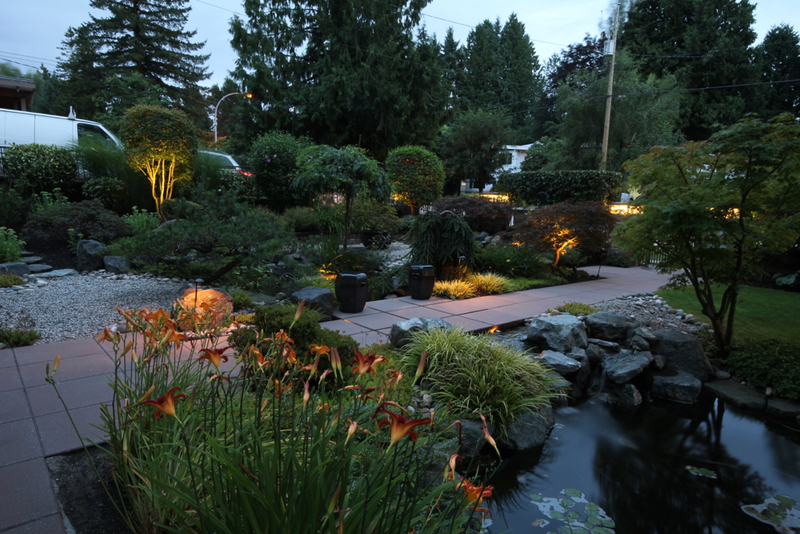 Burnaby Residence - Isidore Landscapes Inc. 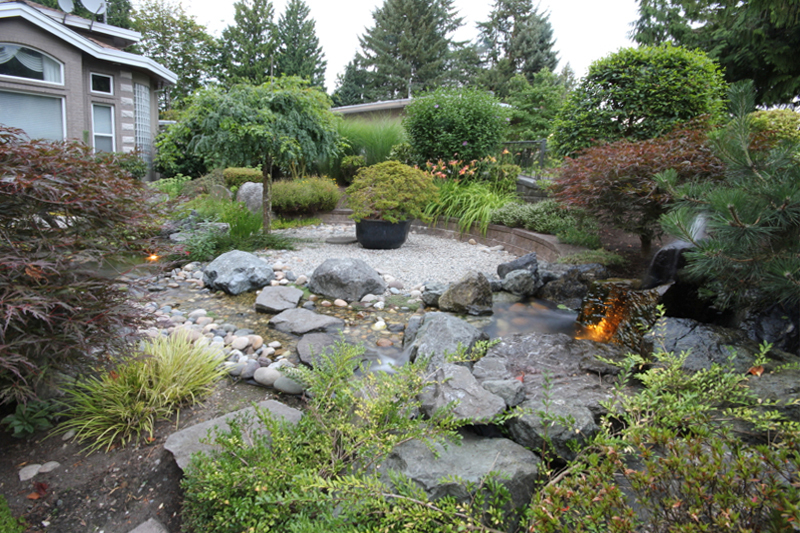 This project showed one of our specialities in designing and building a large water feature to transform a front yard and create a tranquil new space. 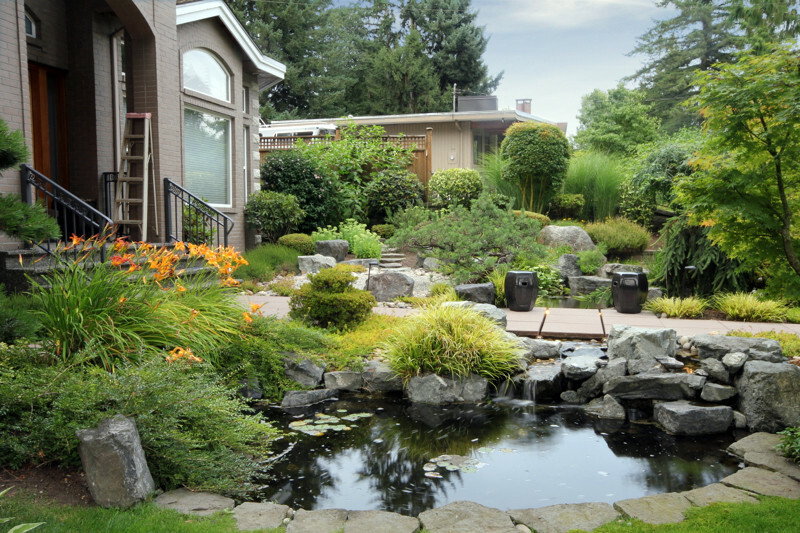 Our work included design work, excavation and fine grading, waterproofing and all mechanical work. 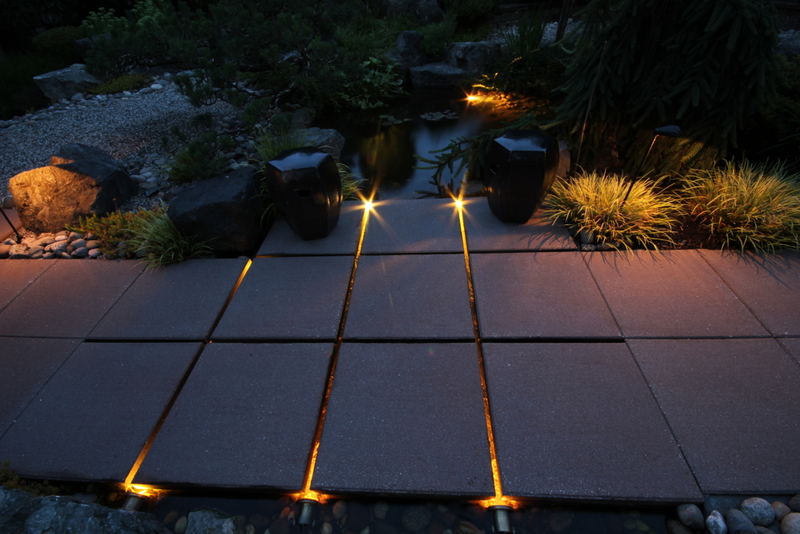 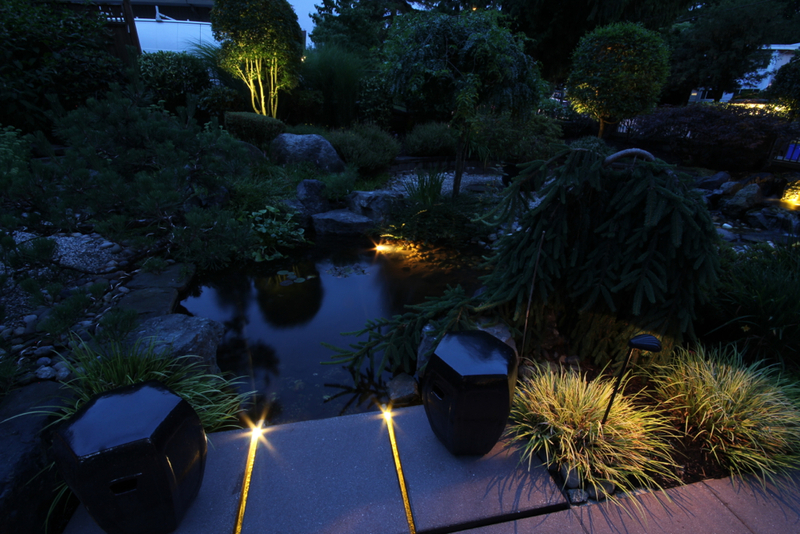 The project highlighted key planting and rock features with landscape lights and included a custom built bridge with LED lighting under paving slabs at the centre of the space.